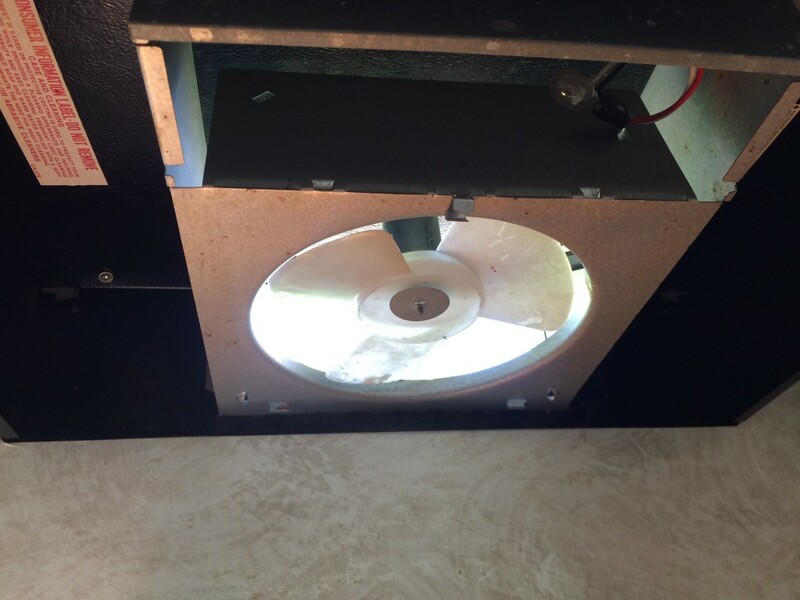 A couple years ago the flap on the outside stove vent on our travel trailer broke and half of it fell out. It’s an old trailer so it’s not too unusual for something like this to happen. I knew it was broke but of course I’ll get around to replacing it later. Well it seems I put it off just a little too long and discovered a mess this spring. Seems a bird decided it was a good place to call home and made a mess of everything and clogged up the exhaust fan in the hood vent over the stove. So it was time to fix the problem for good. I did a quick search for trailer stove vent and one of the first things that popped up was a Ventline exterior wall vent on Amazon for $10. Perfect! I took the old vent off and got everything cleaned up for the installation of the new vent. With the nest out and all the old butyl tape and calk removed I cleaned the surface with some denatured alcohol. I picked up some 1/8 x 3/4 butyl tape from a local camper supply for a few bucks and added a single layer around the new vent and started screwing it in place. When tightening the screws go slowly and tighten them evenly a little at a time so you don’t crack the plastic on your new vent. Once it was install and all the screws tightened evenly I ended up with a little butyl tape squirting out around the edges where the vent was tight to the surface of the siding. The siding on our trailer is louvered so the butyl tape doesn’t squirt out around the whole thing, just where it’s tight to the siding. I used a utility knife and gently trimmed away any excess butyl tape even with the edge of the vent. With the edges all trimmed the last step is to add a nice even bead of Dicor self-leveling lap sealant. You don’t want to use silicone calk on a trailer due to the amount of movement the trailer sees when hauling it down the road. The Dicor sealant doesn’t dry up or harden and will flex with the trailer while you haul it and keep a good seal on things. And that’s it! Hopefully this will discourage any more critters from thinking the trailer looks like a good place to hole up and prevent me from cleaning up any more messes.